Acura loaned my family and I the Acura MDX Sport Hybrid for our long summer road trip, however, it does not impact our views of the vehicle. Opinions are 100% our own. Thank you to Acura for being a part of our special summer reunion. I love being on vacation! That said, our destination was, of course, my favorite place ever to go to – Walt Disney World in Florida for a very special summer reunion! So, I was happy as a clam or should I say mouse to be going? Road trips especially long ones can be exhausting and sometimes not so much fun especially for the drivers. We had a 14 plus hour drive from Houston, TX to Orlando, Florida. That’s just the Google maps estimation. We all know that isn’t accurate since you stop to eat, stretch and take potty breaks and that can add on hours to your trip. For the kids it’s fun, oh sure they just get to fall asleep in the back seats but it isn’t always easy on the driver/drivers. Well, at least that’s what I used to think until the Acura MDX Sport Hybrid. The first thing we noticed is what a smooth ride we felt. It was like driving on butter but not that slippery. The acceleration on the Acura MDX was great too, no lag whatsoever. You know, for when you need to get onto the highway with all the other traffic going way over the speed limit. You need that acceleration to kick in immediately and on the MDX it certainly does that. 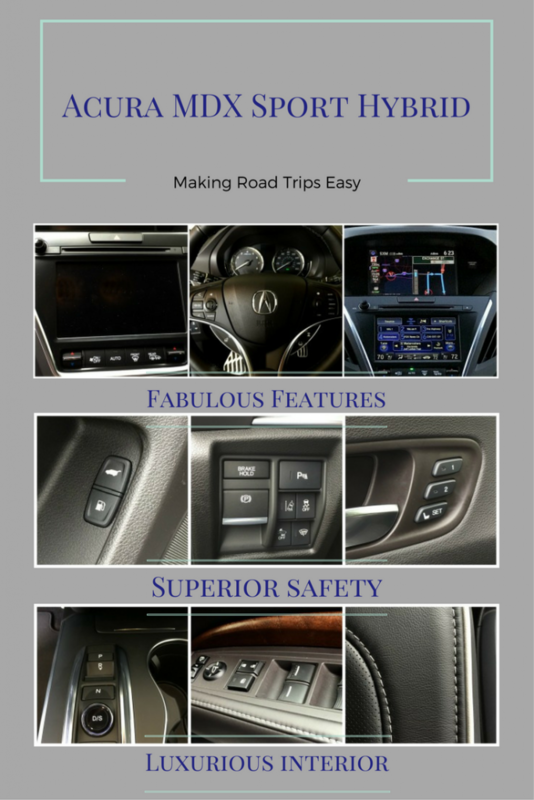 I could not believe how many safety features there were in the Acura MDX. Seriously, it was like this car could do everything for you, well almost. It was a bit intimidating for me at first with all the features and lights and trying to figure out what it all was before driving it for 14+ hours. But we quickly got the hang of it all and enjoyed testing out the safety features. The turn radius on the Acura MDX was amazing! It hugs the road so well. I’ve never been in a car that had such amazing cornering. 26 city/ 27 hwy Oh, how I miss that when I go to fill up our current vehicle. My son loved that you could see how many miles you could drive before needing to fill up. It was a pretty cool feature. He’d watch the number decrement and remind his dad when we needed to fill up. The second-row had a center console with 2 USB ports. There were more than enough USB ports to go around even with all the technology we had running on this trip. Lane Keeping Assist (LKAS) This took some getting used to but after a little while my husband couldn’t imagine driving home without it. There are so many more features I didn’t add to this list. 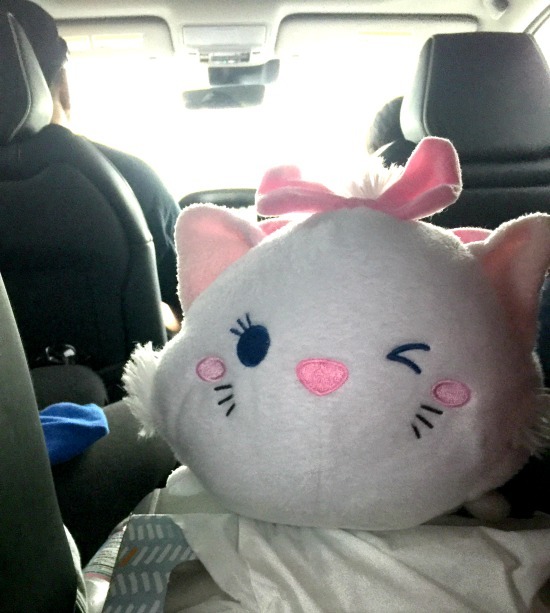 We packed 3 adults and two teens (one nearly 6 ft), 2 carry on suitcases, an ice chest, 2 backpacks, 4 tote bags, a shoe box, and a car jumper along with other miscellaneous items including one Disney cat for a week and a half long trip and a large gift my daughter made for her best friend. Yes, I know we pushed our space limits as the 2017 MDX Hybrid has 14.9 cubic feet of space in its cargo hold. The MDX Sport Hybrid is probably better suited for a family of four, not five if you need the cargo space the third row gives you. On the way back we added plenty of souvenirs as well. Now, I can pack pretty well so we managed to get it all in but it was pretty overcrowded. My things all fit in half a backpack. The rest of the family not so much. Had we had one less person we probably would have had plenty of space. But I don’t think my sister would have been too happy with that idea, after all it took to get her there but that’s another story. The Acura MDX does have seating for 6 people but that leaves very little space for any luggage at all. Plus the rear seats really don’t have any leg room. It’s not even as wide as a standard tablet. My son couldn’t fit back there at all. It was a pretty tight fit for my daughter as well but she was a trooper about it as was my sister. Why stop when you are loving the drive? After issues trying to stay at a couple of different hotels we just opted to drive straight home. Yep, 14+ hour drive home. I wasn’t sure we could do it but hubby felt confident and well rested after I drove for a bit to take on the task. Needless to say we made it home safely, and comfortably in the Acura MDX Sport Hybrid. We enjoyed talking and taking in the sites the entire drive home. And the first thing hubby said was, if we hadn’t been driving the Acura MDX there isn’t any way he would have done it. With all it’s safety features, smooth and quiet ride it made driving so enjoyable and relaxing there was no reason to stop. Thanks to the partnership I have with SheBuysCars.com (sponsored) I was able to attend the Houston Auto Show. There are a lot of things to look for when considering purchasing a new car. Sure I love a gorgeous, stylish looking car, who doesn’t? But as a mom, keeping my kids safe is priority one. But can you get both style and safety? While attending the Houston Auto Show I had the opportunity to find out. High Beam Control – this system automatically adjusts the headlight beams from low to high. As soon as it detects a light from either a rear light or headlight it automatically adjusts back to low beams. Lane Departure Warning – alerts you when you’re unintentionally leaving your lane at a speed of 44 mph or higher. Lane-keep Assist – performs minor steering corrections to re-center the vehicle in its lane when it senses an unintentional departure. 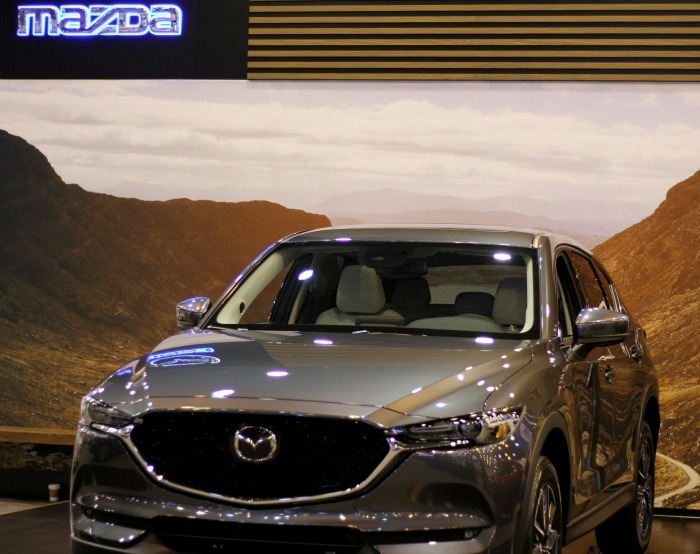 Mazda Radar Cruise Control – works within a set speed range and helps you keep a safe distance from the car in front of you. It will alert you when it senses your car is approaching the one in front of you too quickly. Advanced Blind Spot Monitoring – radar sensors detect and alert you when there are objects in your right and left blind spots. And it also warns you when vehicles traveling quickly are about to enter your blind spots from further behind. Of course, all of these amazing safety additions don’t mean you don’t still have to pay attention to the road. Driving safe is alway your first responsibility. 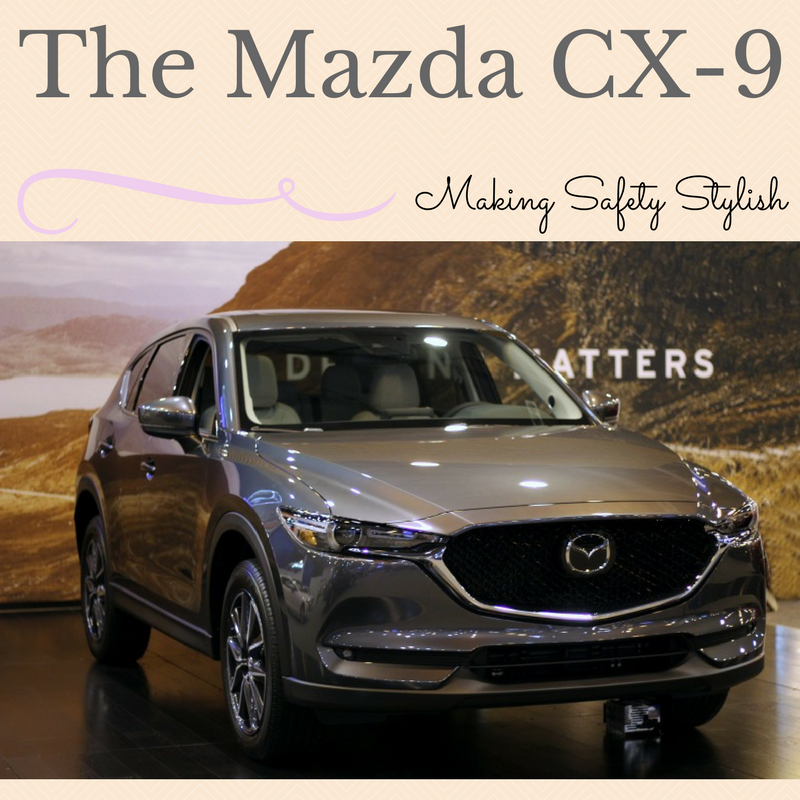 There are plenty of other reasons to love the 2017 Mazda CX-9 Grand Touring. What mom doesn’t love space? And the Mazda CX-9 has plenty of it. There are three rows of seats. That’s going to fit a lot of kids and their friends. If you put the third row of seats down, you’ll have 38.2 cubic feet of space, put down the second row too and your space increases to 71.2 cubic feet. That’s a lot of space! I love this! There are storage spaces in the console, center arm rests, glove box, seatback pockets, and bins at the bottom of the doors. All of these safety features to keep you and your family safe on the road and you don’t have to sacrifice style one bit. This post contains affiliate links. This product was received free of charge. 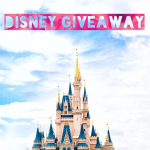 It’s no secret how much I love Disney. One of the things I love so much about Disney is the creativity, the imagination, the thinking out of the box and making the magic real. I’m a firm believer in teaching the whole child. Children need art. They have a need to be creative and need to be allowed to express that creative side of them. 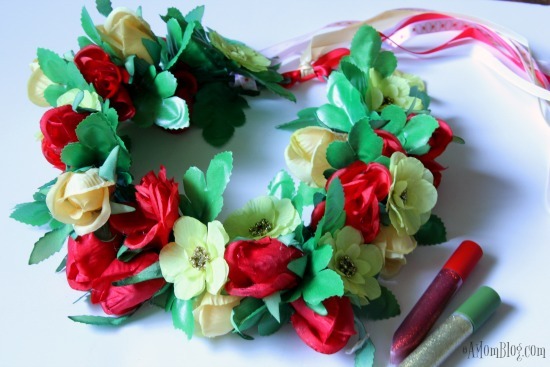 So when seedling.com approached me and shared their new Beauty and The Beast Design Your Own Enchanted Rose Crown I knew I wanted to share it with you. Disney and creativity, Seedling found the perfect collaboration with Disney. 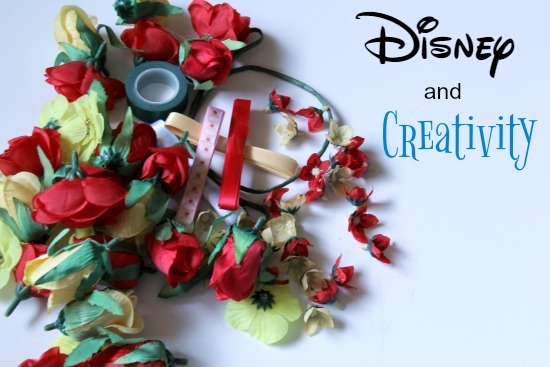 They don’t just have the Design Your Own Enchanted Rose Crown, they have an entire line of amazing Disney crafts to do with your children. But that’s not all they have, they have many other crafts as well if you are looking for some crafts to do with your children that aren’t Disney themed. I just happen to really like the Disney ones. Yes, I’m just a little bit biased. Everything you need to create your craft is included and more just in case you want to add a little more sparkle to your crown. ‘Cause you know, us princesses love to sparkle! I love that in the instructions kids are encouraged to be creative, to plan out their design and sketch it out on paper before putting it together. Just that alone incorporates so many skills children need to learn. The homeschooling mom in me loves that! You really should take a look. It would be the perfect gift or rainy day activity for your child. If a non-DIY’er can make a craft and it not be a total disaster (i.e. 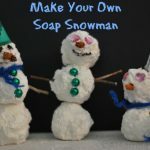 why I don’t try Pinterest crafts) your little one will certainly enjoy the opportunity to express themselves in a fun and creativity.